1. 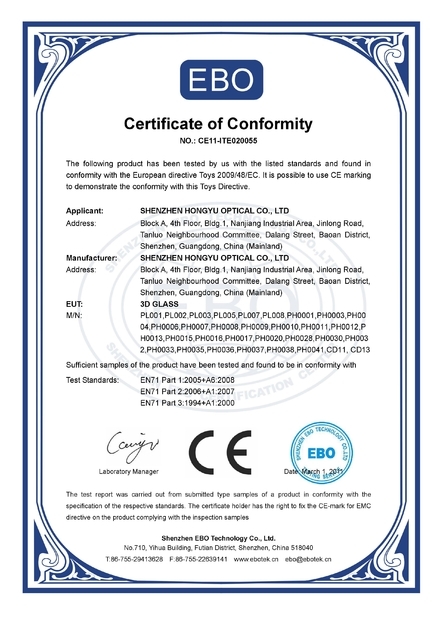 Circular polarized lens, 0.23mm. 3. 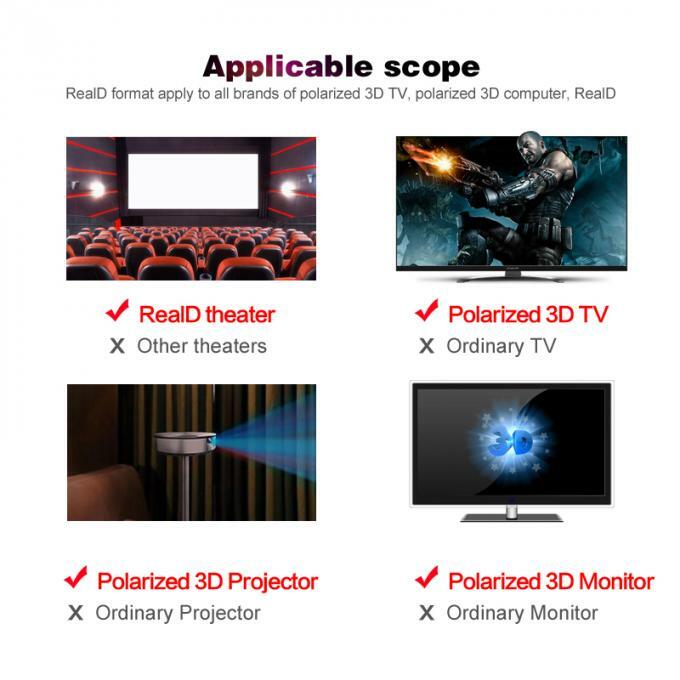 Used for 3D cinema, theater, like Reald cinema system. 5. 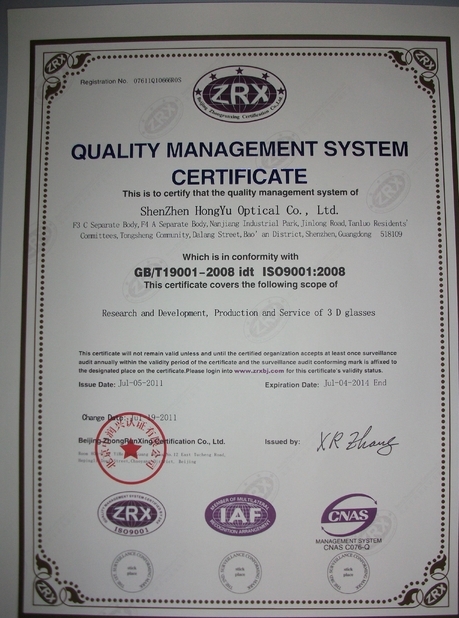 All material got Rohs or CE or Reach certificate. 6. 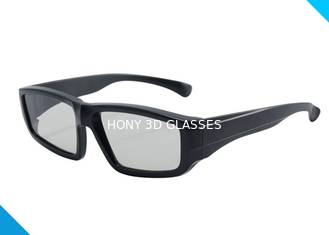 Light weight, suitable for people wearing glasses. 7. This glasses can be hang on normal glasses.